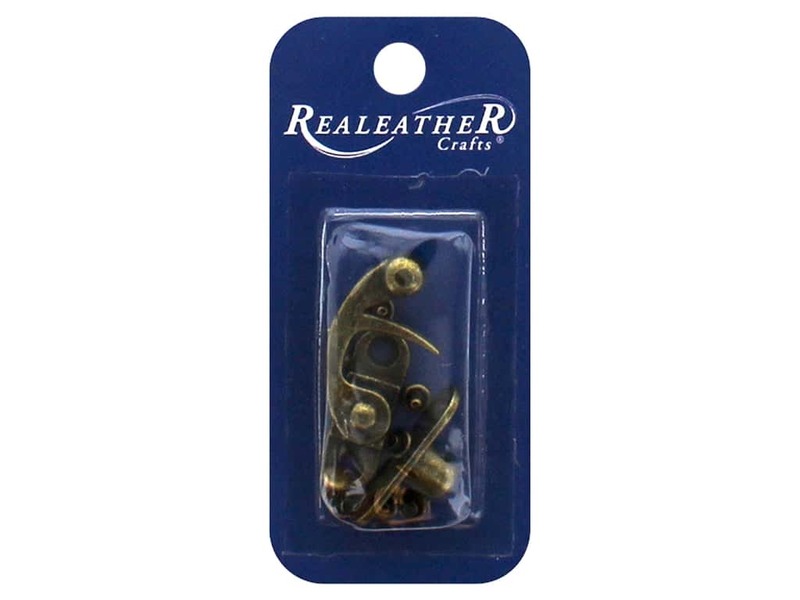 Description: REALEATHER by Silver Creek Findings to make your leather crafting projects unique and truly yours. Swing Clasp Antique Brass- Make a statement securing your treasures within your bag, clutch or satchel with this impressive closure. Arm swings down into bottom part to fasten in place. Clasp is set with 4 rivets, included. Measures approximately 1.13 in. x 1.25 in.